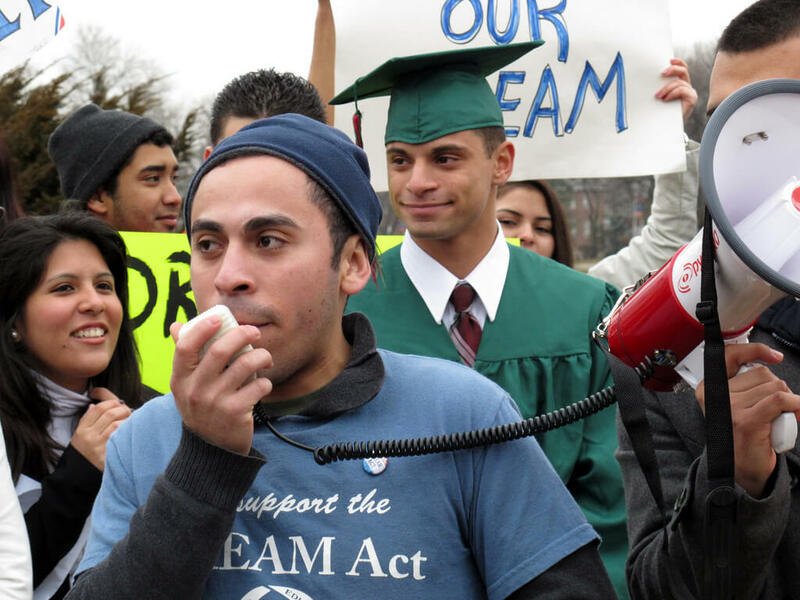 Many Americans were introduced to the population of 800,000 illegal aliens currently being protected from deportation by an Obama-era program known as Deferred Action for Childhood Arrivals (DACA) during the 2016 Democratic National Convention. On the opening night, America met 28-year-old Astrid Silva, an illegal immigrant residing in Nevada who walked out on stage and lambasted presidential candidate Trump for his attempt to regain control of the nation’s immigration policies. The daughter of illegal Mexican immigrants who arrived in the U.S. at the age of four, Silva noted watching Trump’s “rise to prominence on the back of anti-immigrant stereotypes and xenophobic rhetoric…” At that point, Silva, who is a founder of a Southern Nevada organization for illegal alien youth and who holds two associate degrees from the College of Southern Nevada and, while also attending Nevada State College, became the human face of DACA. America was also told that the nation’s hidden DACA recipients were veterans , valedictorians and others, who, as Leon Panetta noted, “provide an outstanding pool of young women and men who can engage in national service, including military service,” and thus deserve an extra dose of sympathy and consideration. Amnesty advocates love to use the use of the words “valedictorian” and “DACA” in the same sentence. But, in reality, less than half of the DACA population has actually graduated from high school. This is despite the fact that the average age of a DACA recipient is 25 with the oldest in their late 30s. In terms of military service, roughly 900 DACA recipients – or a little more than one-tenth of one percent – have actually served in the U.S. military. This clearly calls into question just how different are they than the rest of the illegal alien population, and why would they, above any others, deserve legalization? 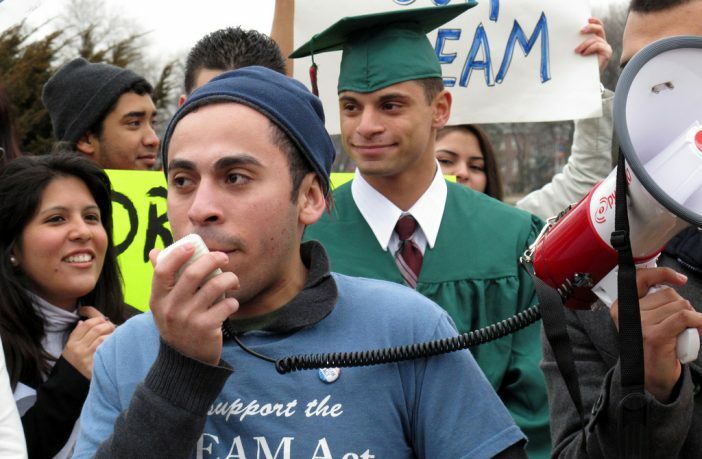 The Migration Policy Institute, pretty much a pro-illegal immigrant organization, but one that has some credibility, did a recent report, “A Profile of Current DACA Recipients by Education, Industry, and Occupation” which provided data and did comparisons the US comparable age population. DACA’s had a small fraction of the college degrees relative to the comparable population and even a bit higher non-school-not working numbers. There’s a great danger that instead of a legislative DACA replicating the conditions of the Obama’s EO DACA, a much greater amnesty bill will emerge, with little of substance to limit immigration and control illegal immigration. If you take a look at the “bipartisan Senate negotiators” Numbers USA ratings, that fear seems justified: Flake, D 27%, Durbin, F- 1%, Bennet, F- 0%, Graham, F- 0%,Tillis, F- 0%, Lankford, D 27%, Gardner F- 0%. Clearly a hate post. How dare you use, like, real numbers and facts. I’m reporting you to the SPLC. WE THE TAXPAYERS PAY FOR THEM TO GET FREE HOUSING, EBT/FOOD STAMPS, MEDICAL AND TRANSPORTATION. They send most of any money’s they get to Mexico. 16. Billion for the year of 2017, according to ABC News 01-03-2018. HOW MANY, WHAT PERCENTAGE OF DACA DREAMERS BECAME US CITIZENS? WHY NOT MORE? Have you been to Las Vegas lately? We lived there from 69 to 73 while serving in the Air Force.. we went back 25 years later..Omg North Las Vegas is a ghetto my beautiful home had the storm door hanging off beer bottles all over. I’m not sure if any of the residents are citizens. They have 150 arrests a day just in this part of town. I believe the entire section are all from Mexico. They destroyed this town. I was very upset. It was so nice when we lived there. We were thinking of staying but decided to come home. Glad I did. Well there you said it investigate each one as a potential citizen. All immigrants applying must pay for it before legalization! With a lawyer and fees.if they lot out then deport them! That would be a good way to handle the situation. If they don’t speak English, are making no attempt to become citizens or are committing crimes, send them back to their country of origin. Much of the illegal alien population has been using fake documents. That would put a citizen in jail for a good while. Because some of those documents are so good they pass for citizens, they may well have served in the United States Military. I am betting that if we ever do get the fake Identifications sorted out, that they will have served just enough time to avoid the draft, (which may have jeopardized their fake identification) and return to making good money until they got older and escaped service to our country altogether. Hey idiot, under federal law “ALL” males residing in the U.S., between the ages of 18-24, ” MUST” register for the draft. Just because the illegal is now 24, he can still be deported for failure to register, which is a federal crime, which in-turn, is a deportation offense. The implication of Joel’s post was that they could get drafted. And what the hell does “they served just enough time to avoid the draft” mean exactly? Cannot quite figure that one out. Aas a Enlistee who, while waiting to be called up was also “drafted” in 1969 I’m more than familiar with the old system. So his post is illogical. IN THR USA THERE IS. If we ever need to have a war and not enouhh are serving they will come a knocking. I worked for the airforce. It still exists its just not like it was before. But there is a draft.